It seemed like Brianna’s days were numbered as she was crammed onto a truck destined for a slaughterhouse. But she’s now got a chance to live a healthy, happy life after making a miraculous escape. Brianna somehow managed to leap from a height of eight feet from a truck on Route 80 heading to a New Jersey slaughterhouse, US. 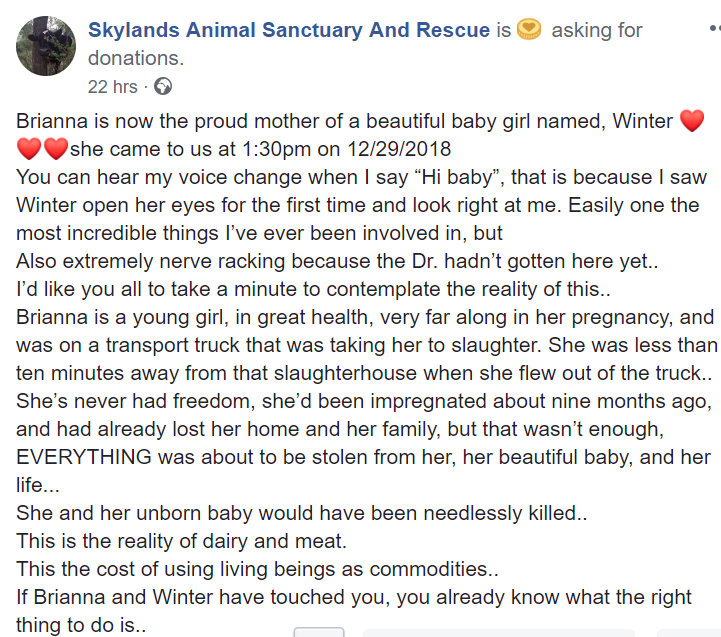 Her bravery has saved her life after vegan organisation the Skylands Animal Rescue Sanctuary intervened. At the time of escape, rescuers had no idea that Brianna was nine months pregnant. Her calf, Winter, was born this week and is the sanctuary’s first young cow. Eyewitnesses reported seeing Brianna jumping from the van before meandering down the highway at 2:45am on Thursday last week. 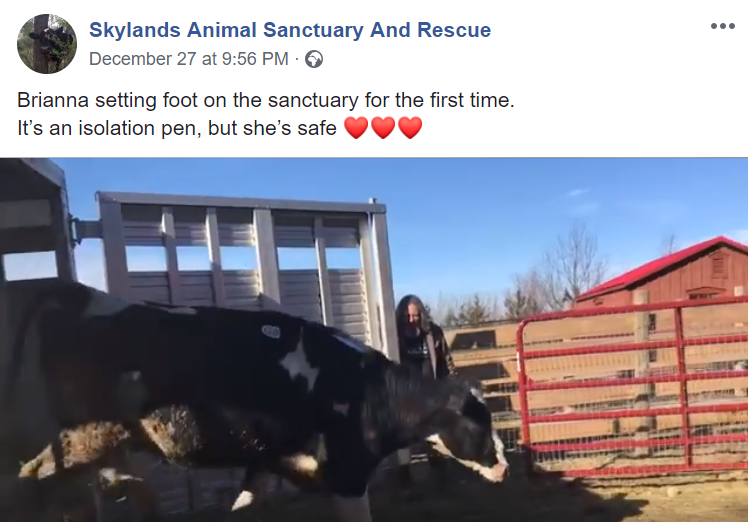 The sanctuary, where she will now live out the rest of her life, posted a video on its Facebook page of Brianna with a lassoo rope around her nose, and a group from of animal rescue workers pinning her down. According to rescuers she’s a bit battered and bruised, but making a full recovery and will be able to spend her life with her daughter in the green fields of Skylands. Founder Mike Stura said this was the first time the group had rescued a cow which had escaped. Brianna was checked by the Wantage sanctuary’s vet, and briefly kept in quarantine to check she wasn’t ill. Her baby will stay with her as long as the pair are fit and healthy. Skylands runs on donations and welcomes volunteers and sponsors.